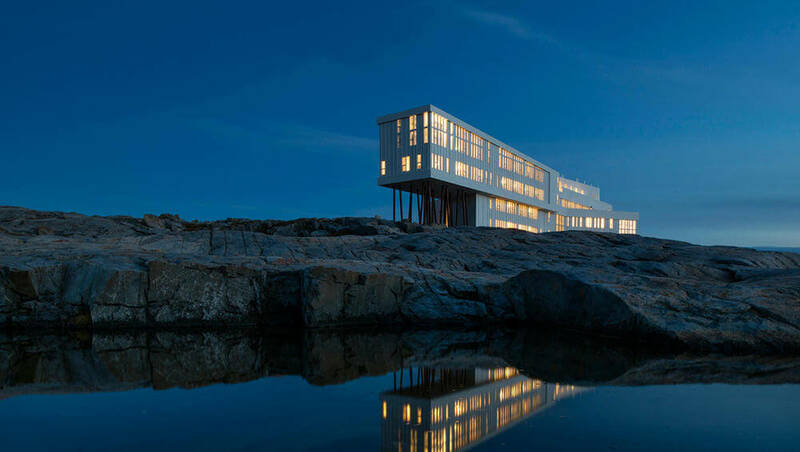 Fogo Island Inn was designed by Newfoundland-born, Norway-based architect, Todd Saunders. The 43,000 square-foot Inn is perched on stilts and hugs the North Atlantic coastline, affording all 29 rooms with floor-to-ceiling views of sea and sky. All rooms showcase the richness of their locality and clearly express a modern take on traditional Newfoundland outport design and décor. 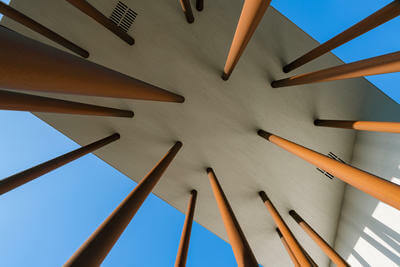 The Inn’s architecture is bold, optimistic, and distinctly of this place. Though radical in its design, the Inn still speaks to the traditional outport Newfoundland aesthetic. Two floors of guest rooms sit atop the Inn’s stilts, a distinct nod to traditional outport fishing stages. 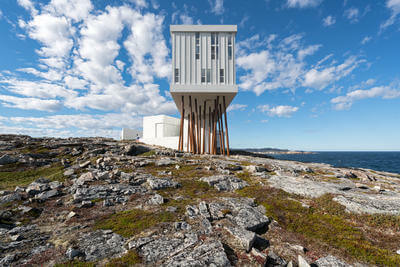 These stilts, or “shores,” underpin many of the buildings on Fogo Island due to the rocky, undulating topography. They support the Inn while also minimizing the overall building footprint and impact on the adjacent rocks, lichens, and berries. The Inn’s sharp angles and rough contours feel at home amidst Fogo Island’s jagged and uneven landscape. The X-shaped structure features a two-storey west-to-east wing containing gathering spaces, and a four-storey south-west to north-east wing, parallel to the coast, containing all of the guest rooms. The first floor includes the contemporary Art Gallery curated by Fogo Island Arts, the Dining Room, Bar, Lounge, and Tea Room. The second floor is home to a Heritage Library containing works of both fiction and non-fiction pertaining to Newfoundland, the Cinema, Meeting Room, Gym, and Reading Room, and the fourth floor roof deck houses wood-fired saunas and outdoor hot tubs. Guest room sizes vary from 350 to 1 100 square feet, with rooms on the third and fourth floors all including wood-burning stoves. The ceilings of the rooms on the fourth floor follow the dramatic slope of the roof, resulting in the three most easterly rooms enjoying double volume spaces with the sleeping area located on the mezzanine. 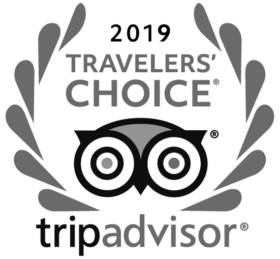 Great care was taken to provide exceptional sound-proofing in order to ensure that guests hear only the sounds of nearby ocean waves. All of the Inn’s rooms were created using only natural materials such as wood, wool, cotton, and linen. The only plastic in the guest rooms is the telephone.